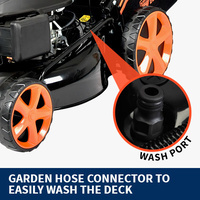 You may have heard that gardening is therapeutic. 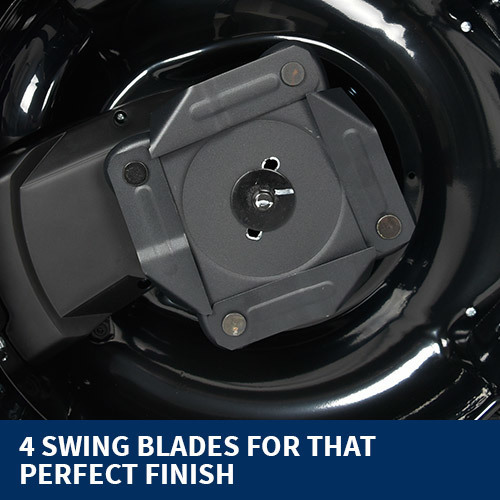 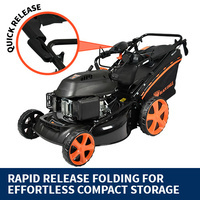 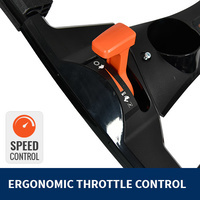 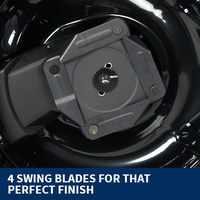 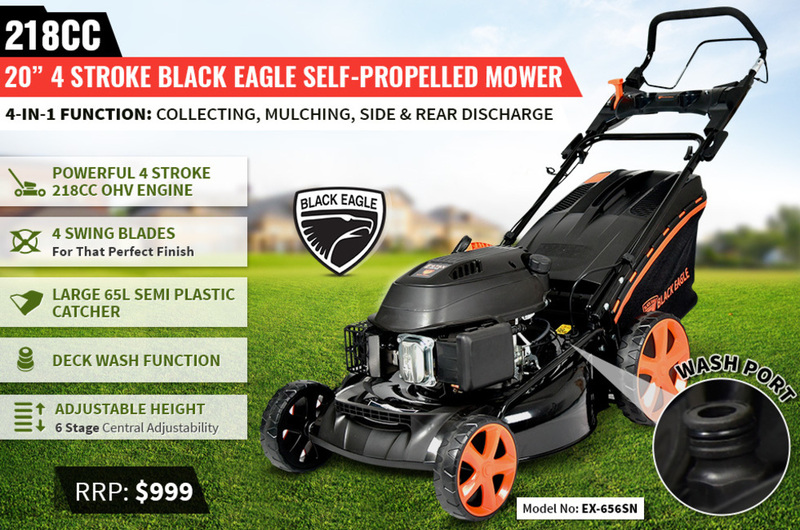 This is even truer when it comes to this 20” 4-stroke self-propelled mower from Black Eagle. 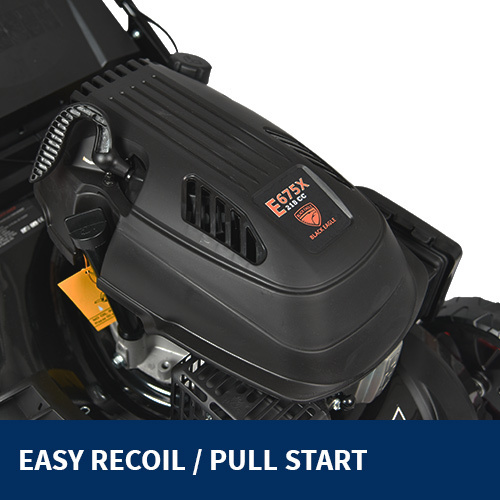 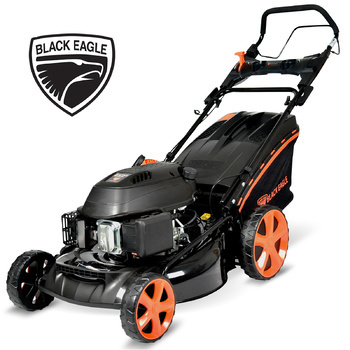 This powerful mower features a 4-in-1 function that includes collecting, mulching, side discharge, and rear discharge. 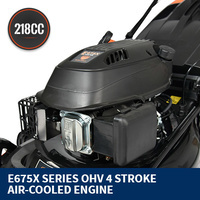 Powering the disc with four blades is an E675X OHV, 4-stroke, air-cooled engine with 218 cc displacement and easy start recoil / pull start system. 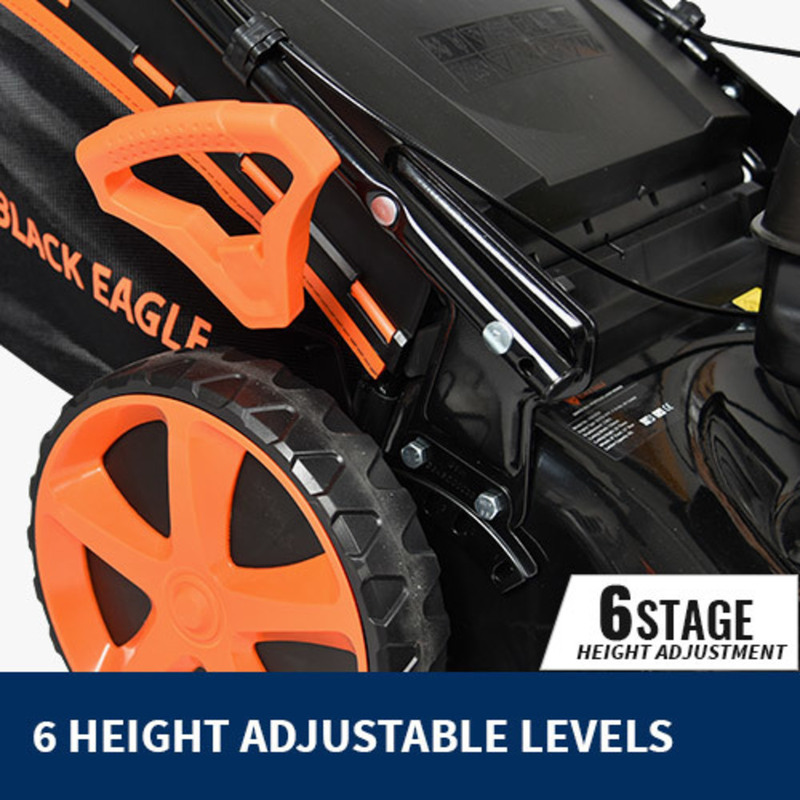 This mower will allow you to cut through the toughest turf with ease as it has a 20” steel deck, 6-level cutting height adjustment from 25mm - 75mm, and 510mm cutting width. 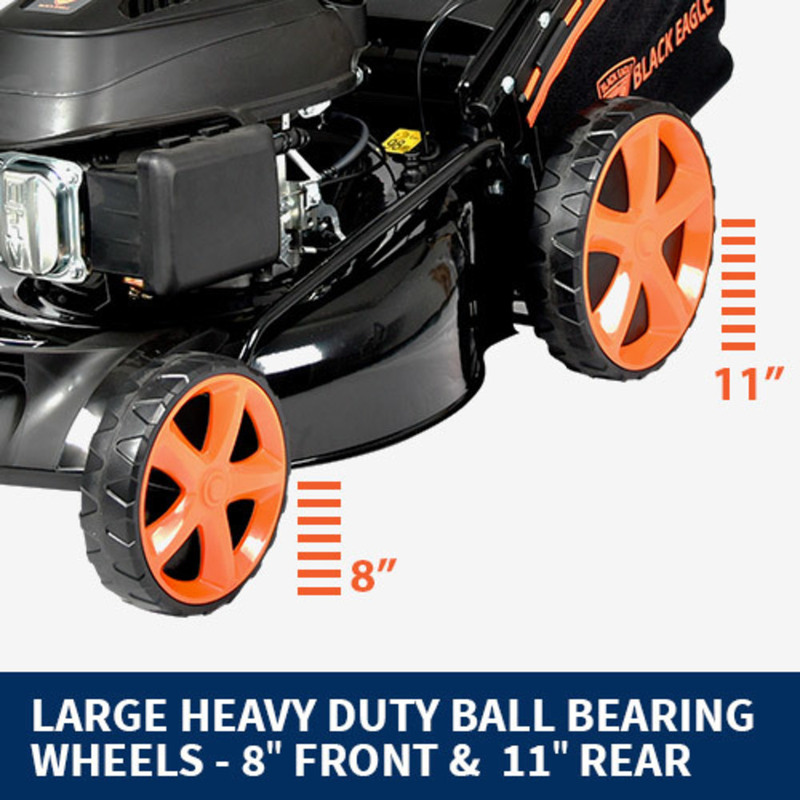 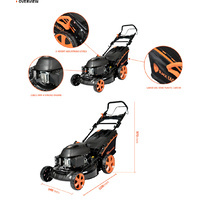 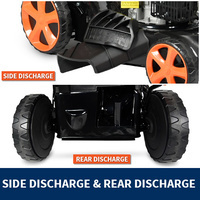 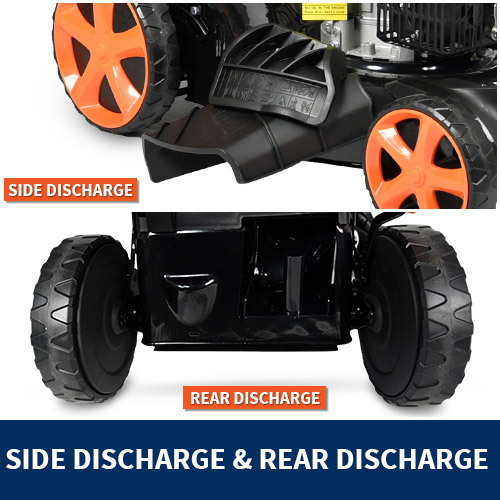 To improve maneuverability, the mower is fitted with 11” rear wheels and 8” front wheels. 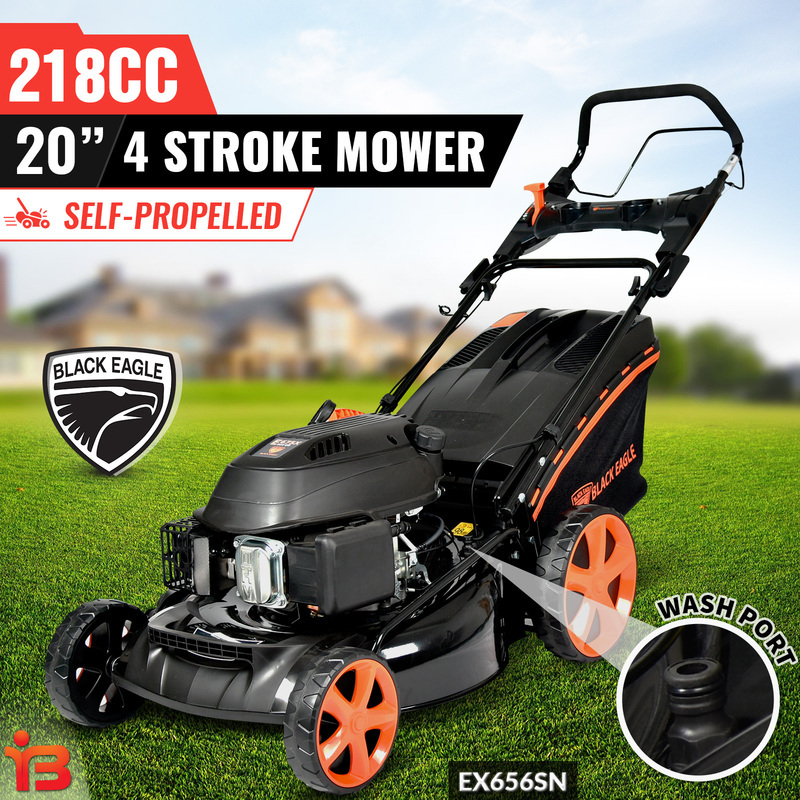 To put the enjoyment back into lawn maintenance, the lawn mower also comes standard with a soft grip handle, a noise level of 98 dB(A), and weight of 42 kg. 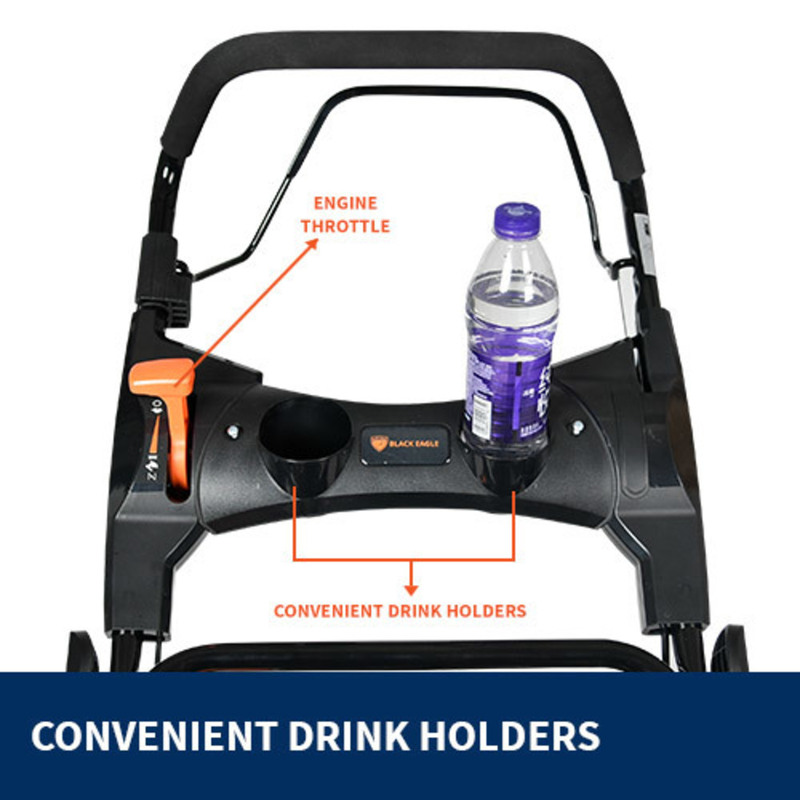 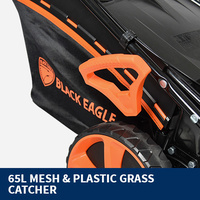 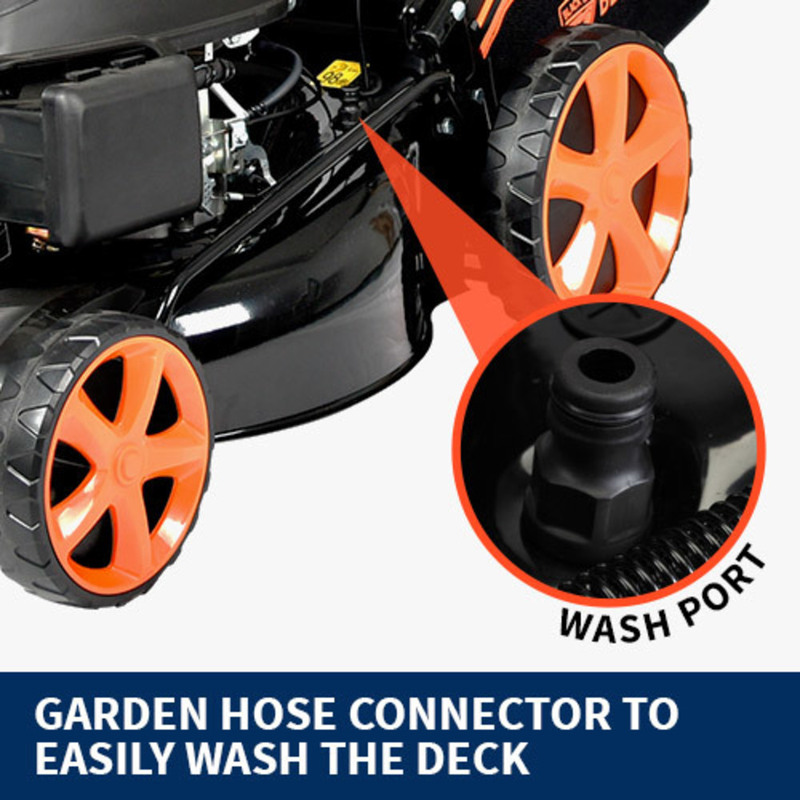 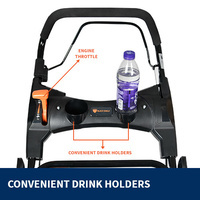 Mow your entire lawn without the interruptions of filling up with fuel or emptying the grass catcher as you’ll receive a fuel capacity of 1L and a 65L mesh and plastic hard top grass catcher. 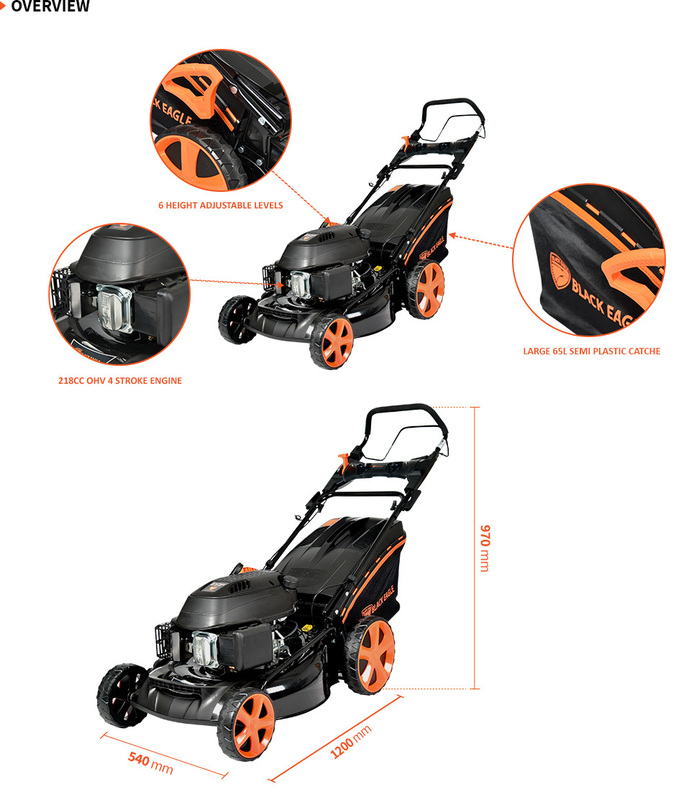 If durability, quality, and easy maneuverability are what you are looking for in a mower, look no further. 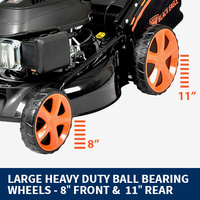 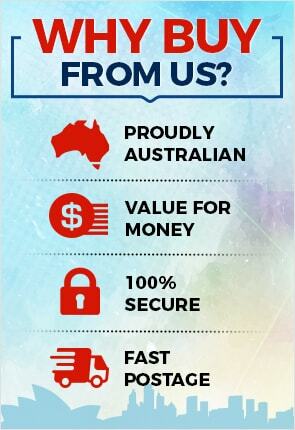 Together with the mower, you’ll also receive a 1-year warranty. 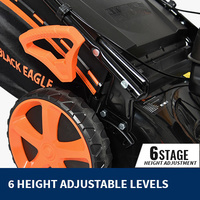 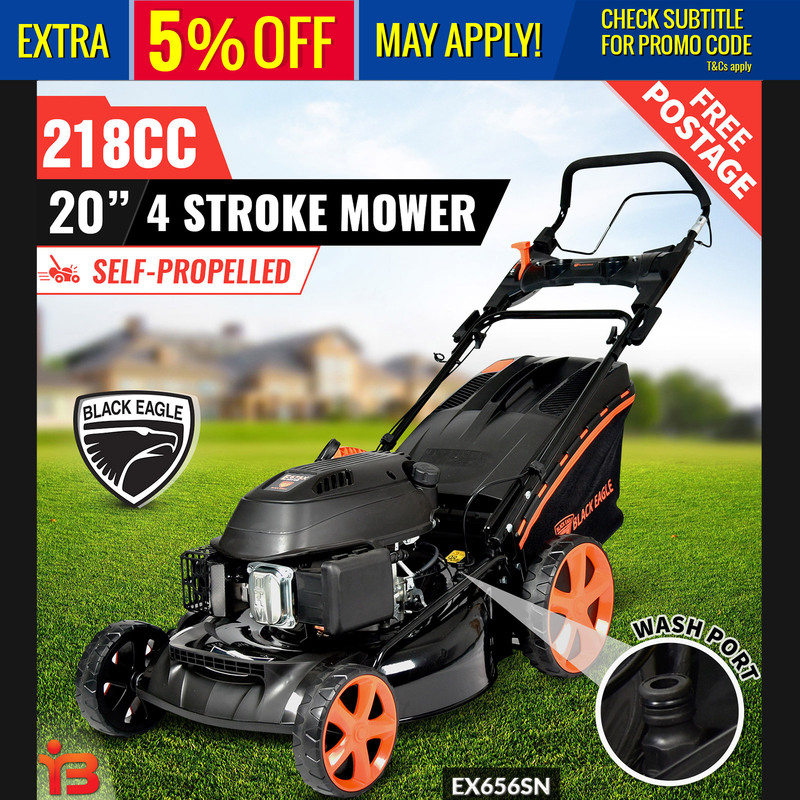 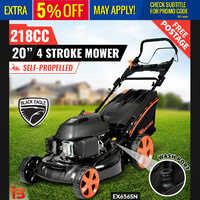 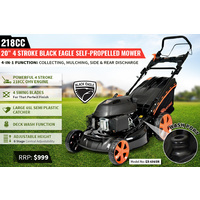 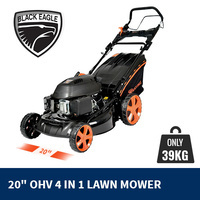 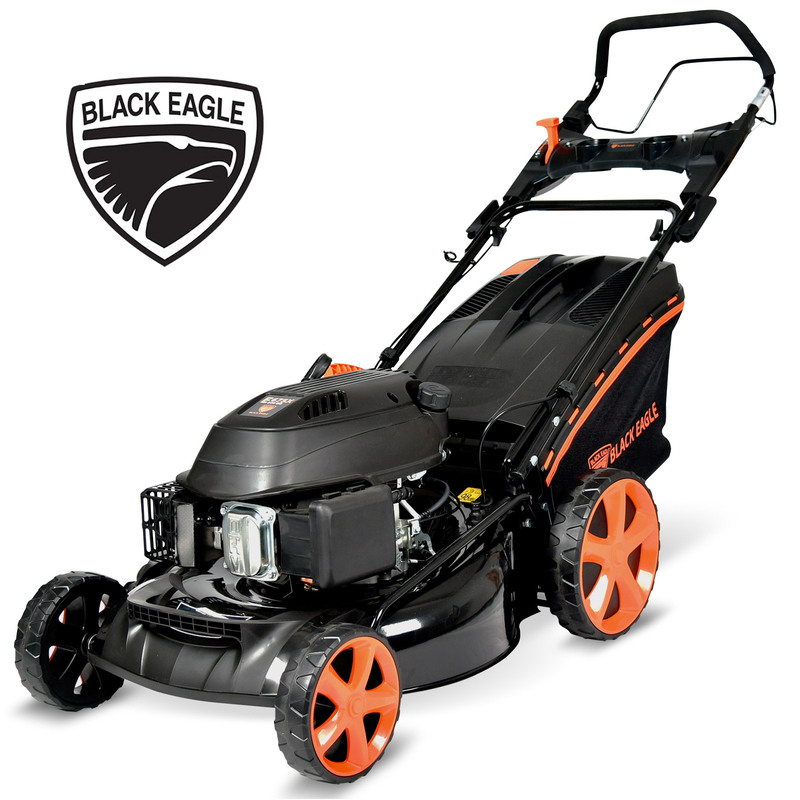 Buy your Black Eagle 20” 4-stroke self-propelled mower today and make garden maintenance the highlight of your week!